Sionis Sepher leaned back in his chair, his eyes looking heavy from the weight of the memories had just recalled. The wooden chair creaked as he shifted his position and silence hung in the air long enough to tell the Loremaster that they had completed another chapter. “Did you ever see Kaellax again?” he asked. The Loremaster gave a solemn nod. The Loremaster agreed and quickly excused himself, leaving Sionis to do whatever the mage required. As for the Loremaster, he marched up stairs in the inn and quickly locked himself in his room. He pulled out several scrolls and quickly went to work on revising his notes from Sionis’ latest tale. The pieces were coming together nicely now. Soon, Sionis Sepher would be well chronicled and the truth could be published in the great library of Stormwind. Downstairs, Sionis Sepher sat patiently at the table the Loremaster had just vacated. He became aware that someone new had approached him, and turned to see Iliera standing with a gentle smile on her face. “How was story time?” she asked. The draenei frowned, but took a seat next to Sionis and gently pulled him into an embrace. He did not hesitate. He enjoyed the feeling of her warmth. It was comforting to him and there was little else of comfort on this alien world. For a moment, Sionis thought he might just fall asleep right here in her grip. Then, the very earth beneath him shook. The Loremaster felt the inn move and sway. It was like the earthquakes that had rattled Azeroth on the day of the cataclysm. He jumped to his feet and rushed down the hallway, through the lobby, and into the open air of Lunarfall. Soldiers scattered in every direction and it became painfully evident that they were under attack, but there was no indication of where the attack was coming from. The ground shook once more and a deep growling sound echoed through the air, as though the planet itself had been the source. “What is happening?” he asked loudly. Iliera was shouting for her soldiers to be prepared, mounts were being gathered, and others rushed to the aid of the wounded that had stirred in the chaos. The first scream echoed across the grounds. It sounded… painful. Sionis was there in an instant, using his magic to teleport across the secured garrison in the blink of an eye. He grabbed the woman before her lifeless body crumpled to the floor. A deep wound had been opened across her chest, as if something incredibly sharp had been brought across her flesh. Iliera was next to reach him. “What is happening?” she asked. The two sprang into action. Sionis shouted loudly that the emergency plan was being enacted. Many of the garrison inhabitants looked confused, as though they did not understand, but many others quickly responded by rushing to the fountain at the center of Lunarfall. Meanwhile, Iliera was ordering her soldiers to their posts, and telling them to keep their eyes out for any attackers that might be attempting to breach the walls. As Sionis weaved a powerful portal, there was another agonizing yell and the Loremaster turned to see something of monstrous proportions. It lashed out one of those that were gathering with Sionis. They were quick to dodge, but the creature still cut them across the arm before it simply vanished into thin air once more. “What is that?” the Loremaster asked, his voice filled with dread. Those remaining near the fountain quickly did as Sionis ordered, one by one they vanished through the portal until no one but Sionis remained. Sionis plunged through the portal and the magical gateway snapped shut behind him. Suddenly, the chaos halted. The thick tension in the air evaporated and the vibrations in the earth subsided. Iliera continued suppress the panic of the situation. Her voice calmed in the wake of the chaos and the soldiers responded with resolve rather than fear. Within a half hour, Lunarfall was secure and seemingly safe once more. As the soldiers settled down, the Loremaster went straight to Iliera. As he approached her, she clearly tried to quickly step away, but he had found ways to interview far more ill-tempered military leaders than this paladin. For a moment, she looked like she might resist, but she appeared to come to her senses as she looked around at the other weary and terrified workers. She owed them all an explanation. The Loremaster couldn’t believe what he was hearing. What was this danger? How had it come to Draenor? Why had Iliera and Sionis seemingly known about it before it truly revealed itself? More questions, always more questions when it came to Sionis Sepher. 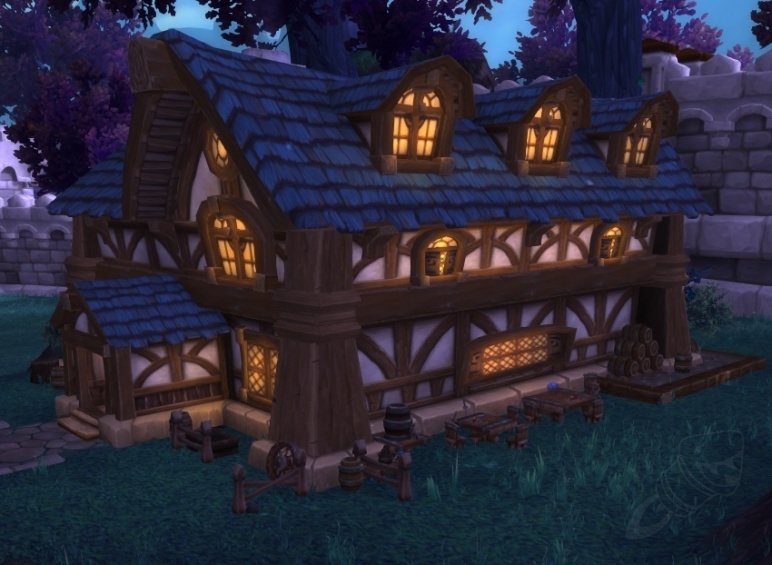 With that, the Loremaster turned and fell in line with Iliera, heading to the Lunarfall Inn where he would learn of what had happened here today.